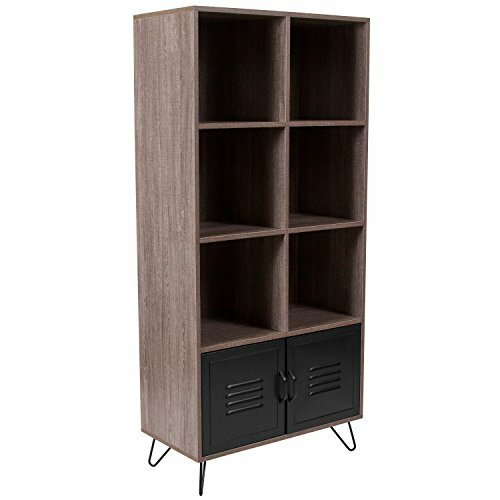 This admirable bookcase will highlight any room! 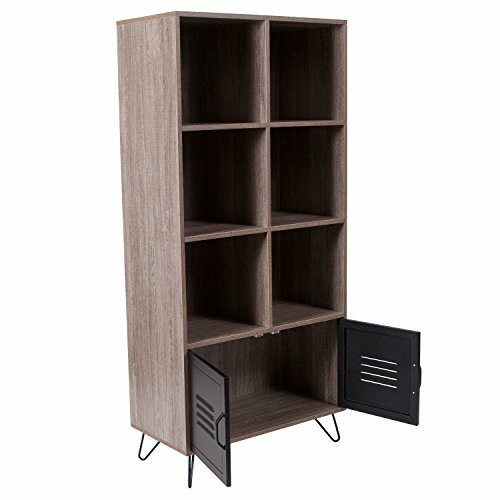 this shelving system features six large storage Openings for displaying books and decorative items. 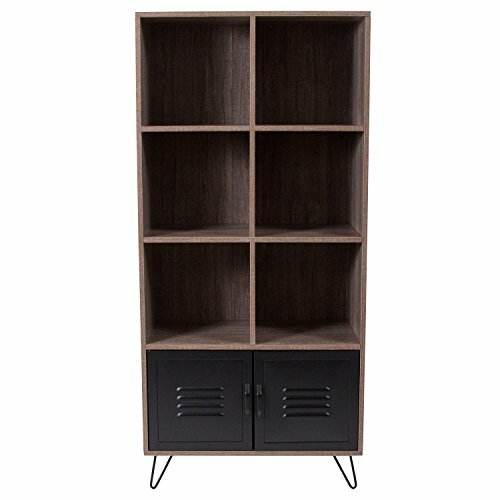 Two locker style metal doors enclose other items with its open storage. Decorate any room in the home with this unit.